What a fun and unique garage door opener installation project in Granite Bay! Our customer, Josh, called us when his garage door opener broke. We figured it would be a straightforward fix but when we arrived, we knew we had a fun problem to solve. Josh’s existing opener was VERY old. Most likely it was installed 15-17 years ago. On our advice, Josh decided to forgo the expense of repairing the opener and invest in a new one. Josh’s garage space is interesting, as you can see in the picture below. There are actually 2 garage doors! Originally, he had one opener to operate the garage door facing the road, but no opener serving the back door. The back garage door leads out to his garden and yard. So the job was not just to replace the current opener with a new one, but also install a new system for the back door. This would allow Josh to open the door automatically instead of manually, which saves time and muscle! The challenge here is that we didn’t have much clearance to install two openers. We had to get creative and eventually found a setup that allowed for two openers to be installed. And we did all that in just a few hours! Josh was thrilled and is so excited to be able to open his back garage door with ease! As you can see, we installed brand new LiftMaster openers. The specific model Josh chose: the LiftMaster 8355 series. It has built-in Wi-Fi, so he can operate the doors from his smartphone or tablet. The doors are belt drive openers, so they are maintenance free and very quiet! We love LiftMaster openers as they are high quality for a great price. Read why we love LiftMaster in this post. We be these openers will last him another 15 years! Garage door openers are rather simple machines and most generally last for many years. As with the case with any machine, they do eventually malfunction or quit working all together. It is then time to look for a new one which has added tech features. It is important to distinguish between the need for a replacement and a need for repair or reprograming. It has been mandated since 1993 that all garage door openers be equipped with a safety feature known as a reversal mechanism. This feature uses a set of sensors to detect objects in the path of the door. When one is detected, the door automatically reverses directions. If a garage door opener does not possess this feature or it has malfunctioned, it is essential to have the opener replaced with one that features auto reverse. As garage door openers age they may begin to make louder noises during operation. As technology advances quieter garage door openers are being introduced to the market all of the time. If yours is alerting your neighborhood when you are leaving for work or waking loved ones upon your return it may be time to retire the old one. The newest chain drive models are quitter than their parent versions. The jackshaft and belt drive versions are said to be the quietest on the market. A weak garage door opener or one in which the sensors are going bad forces owner to manually hold the button to operate it. This is an extreme annoyance and hassle for the whole family. Simply replacing your old opener will relieve you of this annoyance and provide your family with additional security. As mentioned, garage door openers with new technological features are being introduced to the market every day. One example is known as the rolling code. This offers both your loved ones and valuables additional security from the criminal element. It generates a new code each time the opener is used to prevent criminals from hacking into your home. Today’s advanced garage door openers feature apps for your convenience. Liftmaster, for example, offers an app for both computers and smart phone which is compatible with one of their garage door opener models. This app allows for remote control such as closing, opening, and monitoring from any location which offers an internet connection. Many home owners opt to upgrade to the Liftmaster model and app for convenience and security reasons. Today’s garage door openers offer outdoor keypad for access. This is extremely handy for children as well as repairmen. Individuals may gain access to the garage through a program code which is stored in the keypad when you are away from home. Another convenient feature garage door openers offer is a battery backup. The backup battery automatically powers your opener during a power outage. The battery backup generally provides up to ten cycles of operation. Once power is returned will recharge itself to prepare for the next blackout. Our professional crew at Perfect Solutions Garage Door is knowledgeable in all garage door matters including automatic openers. We can help you decide which suits your unique family and household budget. Just give us a call to discuss any of your garage door issues. There have been many recent breakthroughs in automatic garage door technology that make it more challenging to select a new automatic opener for your garage. The technology is more reliable and it offers various new safety and security features that can protect your garage and home. It also allows you to select the horsepower and mechanism that best suits your needs. Automatic garage door openers are made with a ¼ HP, ½ HP, or 1 HP electric motor. You can use a ¼ HP motor on a lighter garage door, but a heavier wood or steel set of double doors will need at least a ½ HP to lift the extra weight. It is always beneficial to select more horsepower then you need, especially since there is not a big price difference between a ¼ and 1 HP electric motor. There are basically three kinds of automatic garage door mechanisms; chain drive, belt drive, and screw drive. A chain drive is the most affordable and commonly used opening mechanism available. Unfortunately they can be quite loud and will require some regular maintenance. A belt drive is the most costly type of mechanism, but it does not require any maintenance. A screw drive is the mid-range option and it is not as loud as a chain drive opener. Automatic garage door openers come with many different security and safety features, like motion detectors that turn the lights on anytime someone enters the garage. In 1993, the Consumer Product Safety Commission made it mandatory for all automatic openers to have an auto-reverse safety feature that detects if something is in the door’s path. Another security feature is rolling code technology. This advanced feature changes the access code every time the remote is used, which makes it practically impossible for thieves to crack it. There are also now openers that utilize fingerprint recognition software. Selecting an automatic opener seems simple enough, but there are many things you need to consider before you can select the right one for you. You need to determine the horsepower you will require, the noise and cost of the mechanism you select, and the type of security features you will need to feel safe. You also need to find the right garage door company. 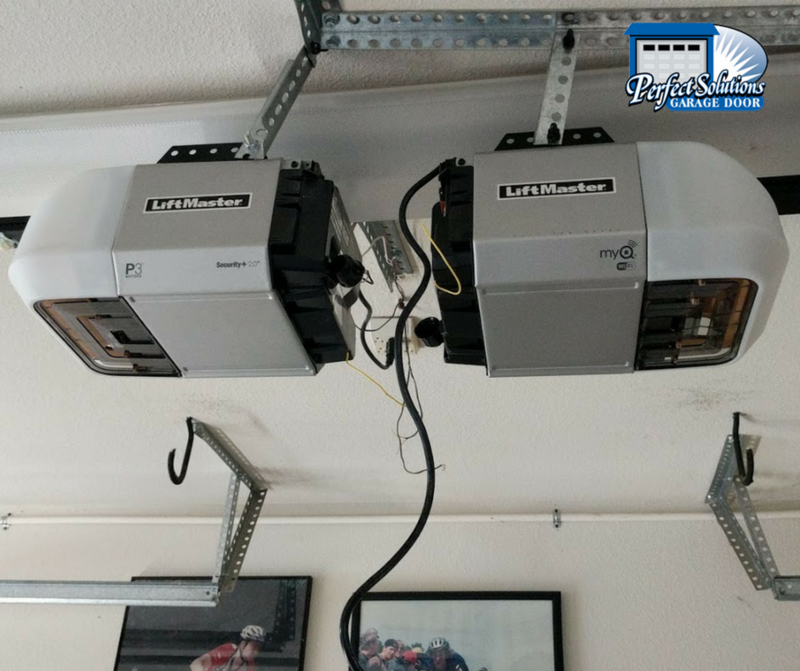 Please contact Perfect Solutions Garage Doors for help with selecting the right automatic garage door opener if you live in the Auburn, Granite, El Dorado, Roseville, and Rocklin area. If you currently have a manual garage door or if your garage door opener is causing more trouble than it’s worth, it’s probably time to invest in a new automatic garage door opener. Automatic garage door openers are now more reliable and affordable than ever. Every garage door opener made since 1993 has an auto-reverse safety feature that ensures nothing or no one can get pinned underneath the massive door. They also come with an emergency manual release pull-chain in case there is ever an issue with the opener. If your garage door does not have these features, please contact Perfect Solutions Garage Door for a free estimate. Today’s garage door openers come with many beneficial security features like fingerprint recognition access and rolling code technology. Thieves can crack the code on older garage door openers and then break into the home using the interior garage door. New automatic garage door technology makes it practically impossible for someone to gain access to your home using your garage door opener. If you have a high-quality garage door opener, you will feel more comfortable storing your valuables in the garage. Garages are the perfect place to store sports equipment, bicycles, gardening tools, and lawnmowers. If you are considering selling your home, a new automatic garage door opener will increase the resale value of your home. Potential home buyers will appreciate the convenience and security it provides. You can also update the garage door at the same time. Garage doors are now available in a variety of stylish materials, designs, and colors. Please feel free to visit any of our Perfect Solution Garage Door locations to view the wide selection of doors that we can custom order for you. An automatic garage door provides a convenient and safe entrance way into your home. 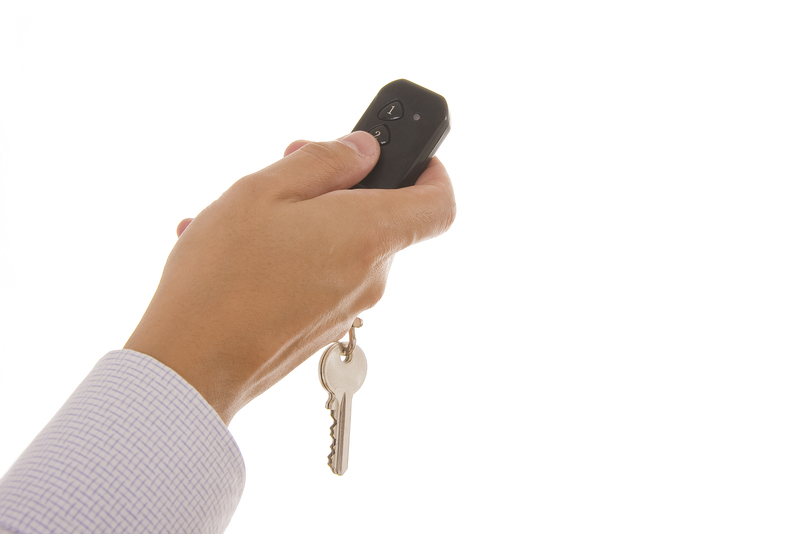 You can click your keychain remote, pull the car into the garage, and immediately shut the door behind you. This will ensure that no one has the chance to sneak in. 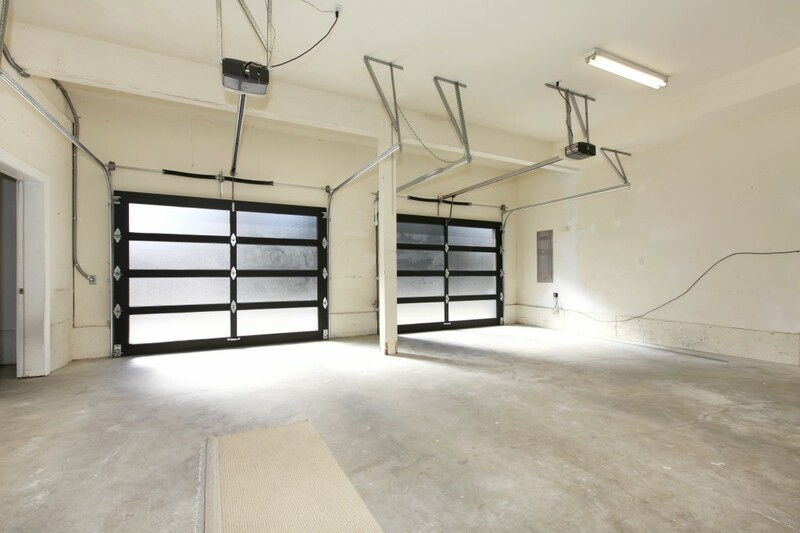 The best part about treating yourself to a new automatic garage door is that it’s not a huge investment. 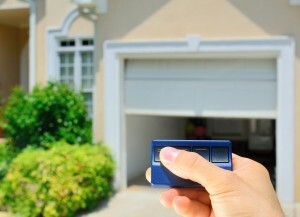 You can find a reliable, state-of-the-art garage door opener for a few hundred dollars. Some models are priced as low as $150. When you consider the cost of most home repairs, an automatic garage door is one of the least expensive upgrades you can do. A new automatic garage door opener is not a large investment, but it is definitely a worthwhile one. Please contact Perfect Solutions Garage Door if you are interested in a free quote for a new automatic garage door. The last few years have seen significant advancements in automatic garage door openers. The automation technology is now more reliable, plus they come with many new safety features and advanced security measures. There is also a wider range of garage door openers to choose from, which can make it difficult to find the right garage door opener for your home or business. Automatic garage door openers today, offer a variety of different safety and security features. All garage door openers manufactured after 1993 should have an auto-reverse safety feature that will detect if there is an object in the pathway of the door. The Consumer Product Safety Commission introduced this regulation to protect children and pets from becoming trapped beneath garage doors. Another new security feature is rolling code technology. This will change the access code every time the remote is used, so it is almost impossible for thieves to break the code. There are even garage door remotes that use fingerprint recognition technology for added security. There are three basic types of garage door opener mechanisms; belt drive, chain drive, and screw drive. A belt drive is usually the most expensive option, but it requires no maintenance. It uses a flexible rubber belt to raise and lower the door. A chain drive is the least expensive and most commonly used mechanism. Unfortunately they are louder and do require some regular maintenance. Screw drive are priced somewhere in the middle and are considerably quieter than a chain drive mechanism. Garage door openers are available in three levels of horsepower; ¼ HP, ½ HP, and 1 HP. A light weight, single garage door only needs a ¼ HP motor, but a heavier steel or wood set of double doors will need a ½ HP or 1 HP motor to lift the additional weight. Perfect Solutions Garage Doors can help determine the right horsepower for your garage door. An automatic garage door opener seems like a simple purchase, but there are several decisions that will need to be made before you can find the right one for your home or business. Be sure to consider which security features you need, the noise of the mechanism, and the power that will be required to lift the massive door. If you live in the El Dorado, Granite, Auburn, Rocklin, and Roseville area, please call Perfect Solutions Garage Doors for assistance in finding the right automatic opener. Installing your own garage door opener can be challenging, and it is important to take into consideration some basic safety precautions to ensure the project goes smoothly. These small extra steps are necessary for preventing injury and costly property damage. They will also help make sure that the garage door ends up working the way it should. All garage door openers should come with helpful installation instructions that are specific to that model. Make sure to read through all of the steps in advance and ask the manufacturer or a local installer if you have any questions. You can also ask anyone on staff at Perfect Solutions Garage Door. It is important to test the garage door before installing the opener. Make sure it is working properly and is well lubricated. You should not install a garage door opener if you can’t easily raise and lower the door manually. Make sure to dress appropriately and remove any ropes or cords from your garage that could become entangled with the door. Don’t tempt fate by wearing things that could get caught in the tracks or pulley system. 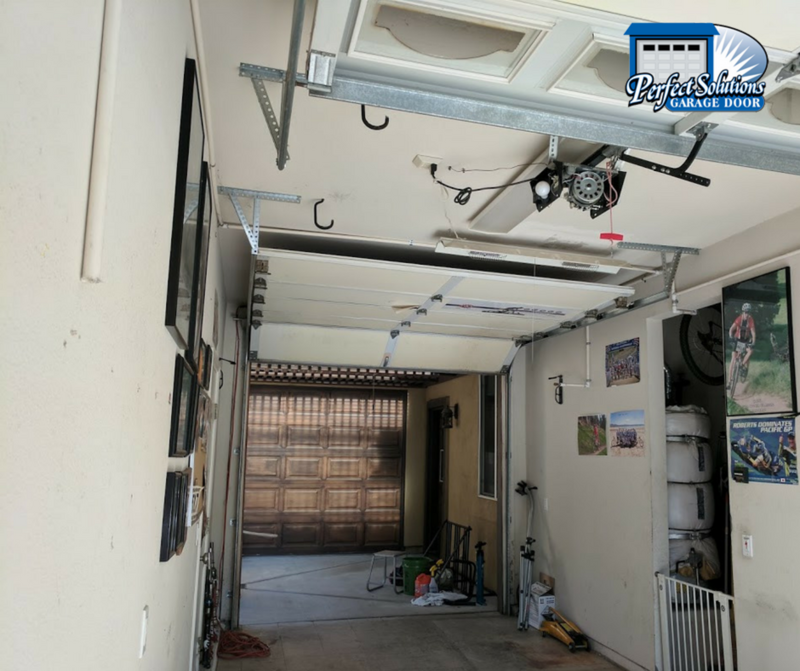 Garage doors are very heavy, and they are suspended high in the air. If your belt, watch, or necktie gets caught in the tracks, it could end up taking you on a dangerous ride. Only qualified service technicians should alter or replace any garage door cables, pulleys, or springs. 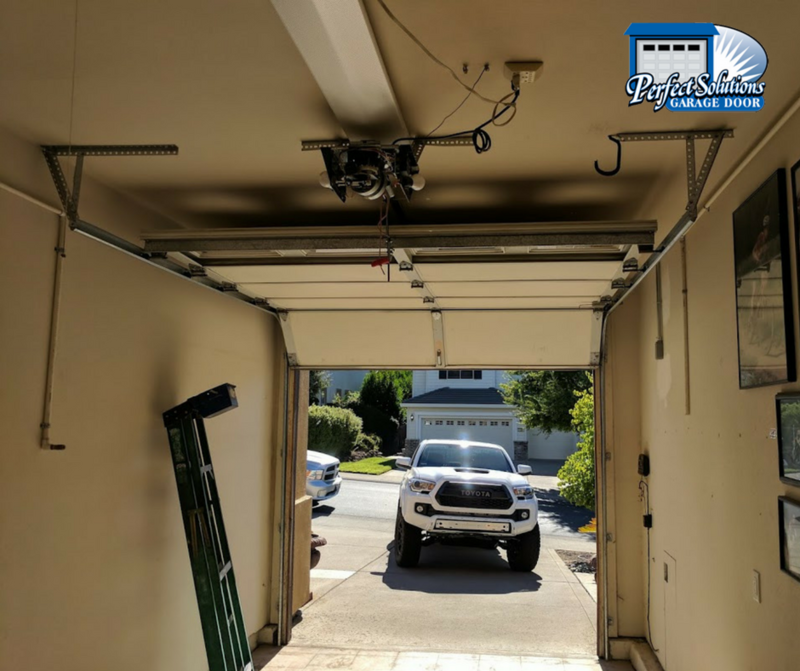 Please feel free to give Perfect Solutions Garage Door a call if you come across a problem with your tracking system and you live in one of our service areas: Auburn, El Dorado, Granite, Roseville, or Rocklin. Make sure to turn off power at the main breaker box if the garage door opener requires any electrical wiring. You should also make sure to connect the power cord for the garage door opener to a properly grounded outlet. After the opener is installed you should test its security features and general functions. It is important to make sure the auto-reverse sensor function, emergency release, and any other safety features are all working properly. Installing a garage door opener can be very straightforward if you follow these six steps. If you encounter any issues or concerns when you are installing it, please contact any of the experienced installers at Perfect Solutions Garage Doors for advice.